I have been fortunate enough to spend two days at the National Museum of Scotland recently, undertaking training on Dementia and Autism Awareness which places audiences at the heart of the Ancient Egypt and East Asia National Programme. Where perhaps staff once felt fearful of ‘getting things wrong’, the message at the core of both sessions was to be fearful no longer, and instead take action and make progress in engaging in a meaningful way with two key audiences. Alasdair Cameron from Hawick Museum with Dementia Learning Agent, Susan Rendell, at the Dementia Awareness workshop. Both sessions began with input from two people who understand the needs of those living with dementia and autism: Susan Rendell, a Dementia Learning Agent with Alzheimer’s Scotland, and Caroline Schofield, an Autism Advisor with Scottish Autism. Both speakers gave attendees a fantastic insight into their respective areas of expertise, with the clear message that those living with dementia and autism should be treated as individuals, as everyone is affected differently. 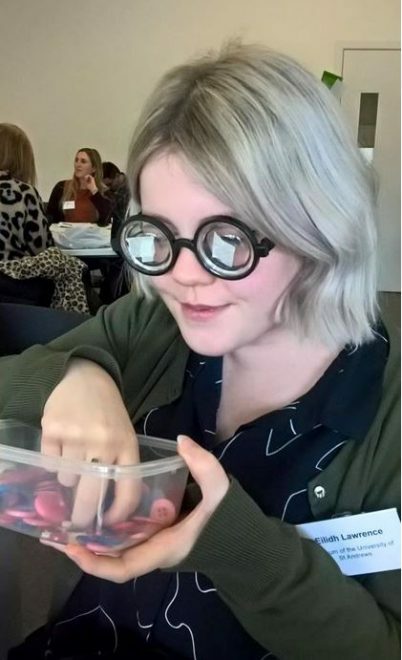 The speakers helped attendees to better understand the lived experience of dementia and autism and emphasised the importance of providing sensory activities. Best practice in creating dementia and autism-friendly environments was also discussed, something that we at the Museum of the University of St Andrews (MUSA) will be paying heed to as we undergo our redevelopment and extension. After both speakers’ presentations, attendees could see the bigger picture and were encouraged to take a holistic approach in understanding the experiences and needs of those living with dementia and autism. Eilidh at the Autism Awareness workshop. 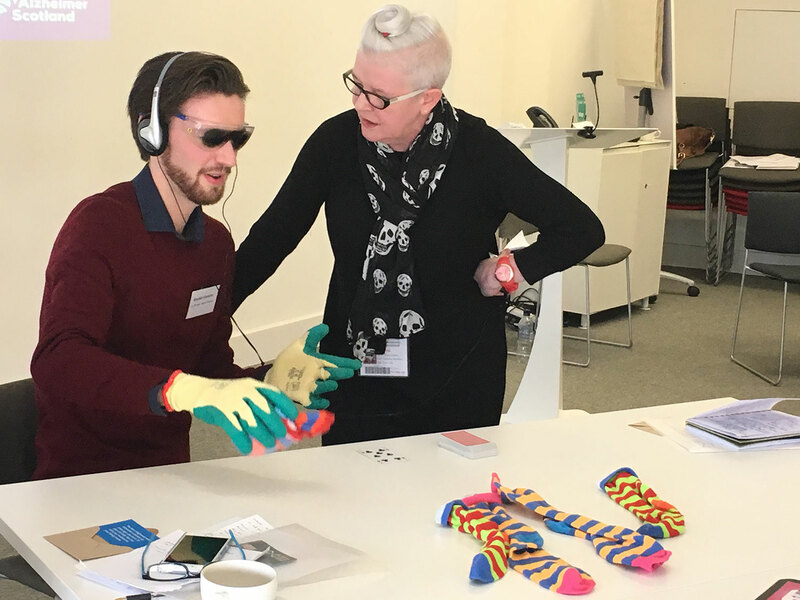 The second half of the training comprised of ‘sharing practice’ sessions with museums across the UK who are leading the way in provision for these audiences. What was particularly encouraging was to hear of the great successes that museums across the country have had in programming for those affected by dementia and autism. Fellow museum professionals shared useful tips for programming – from practical adjustments to longer-term plans for engagement. This training has come at an extremely opportune moment for us at MUSA. To have this knowledge to feed into our redevelopment project will prove invaluable. I now feel equipped to provide those living with dementia and autism with a museum experience that holds meaning and value to them as individuals.